Today MultiBeast was updated to version 3.7. The latest version is now available at tonymacx86.com/downloads. Replaced IntelThermal with IntelCPUMonitor in FakeSMC Plugins. Removed Chameleon 2.0 RC5 - ATI Experimental; superseded by Chimera. Removed Chameleon 2.0 RC5 - Sandy Bridge; superseded by Chimera. Today, Chimera has been updated to version 1.4.1. iBoot has been updated to 3.0.4, including this version. Until MultiBeast is updated, we've created a standalone installer for Chimera, available at tonymacx86.com/downloads. NOTE: Proper drivers are required for full support. Chimera 1.4.1 is recommended for all systems. To update, simply overwrite your previous Chameleon version using MultiBeast. For bug reporting, feature requests, and general feedback please use the Chimera forum. 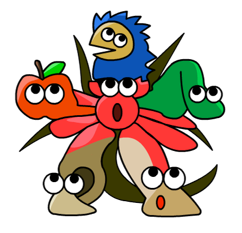 Today Chimera has been updated to version 1.3. iBoot and MultiBeast have been updated to include this version, and are available at tonymacx86.com/downloads. Chimera 1.3 is recommended for all systems. To update, simply overwrite your previous Chameleon version using MultiBeast. For bug reporting, feature requests, and general feedback please use the Chimera forum. Today MultiBeast was updated to version 3.6. The latest version is now available at tonymacx86.com/downloads. 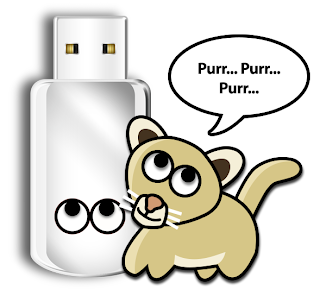 Added ATI 1.6.34.13 to Graphics. This is the latest complete ATI drivers from the Mac OS X 10.6.7 Update for iMac (early 2011) that provides Radeon HD 6000 support. Removed ATI 1.6.32.12 from Graphics. Added NVIDIA 256.02.05f01 to Graphics. This is the latest complete NVIDIA drivers from the Mac OS X 10.6.7 Update for iMac (early 2011). These drivers support 4xx Fermi cards, making this option a replacement for tonymacx86 NVIDIA Update 1.0, and equivalent to tonymacx86 NVIDIA Update 2.0. Added iMac12,1 and iMac12,2 to System Definitions. Removed iMac11,3 from System Definitions. Renamed Chameleon Instant Menu to Instant Menu as it for Chimera and Chameleon. Changed the boot menu Timeout in all com.apple.Boot.plists from 1 to 2. Chimera Now An Official Chameleon Branch - Source Available! For bug reporting, feature requests, and general feedback please use the Chimera forum first before opening an issue at voodooprojects. Today, Apple released new iMac models, the first Mac "desktop" models containing Intel's Sandy Bridge platform. All systems also come with Thunderbolt ports, IPS displays, and a choice of ATI 6xxx cards. A good update for Apple's all-in-one, but what does all of this mean for custom PC builders? All of the CPUs used are quad-core desktop chips. Intel's 2500S and the 2600S are lower power variants of the 2500 and 2600 specially designed for all-in-one systems. Apple most likely has chosen these to minimize heat output within the 21.5" case. The real power comes in the built to order models, which sport Intel's Hyperthreading technology. The 4 cores become 8 threads, giving each the performance of eight virtual cores. Apple's new iMacs contain AMD Radeon HD 6xxx mobile graphics cards. As we predicted, the drivers are supplied in the 10.6.7 Update for Early 2011 MacBook Pros. Read more details at netkas.org. We already have initial vanilla kernel support with the Darwin 10.7.3 kernel supplied by the 10.6.7 Update for Early 2011 MacBook Pros. These new iMacs are most likely running a special build of 10.6.7, with kernel version 10.7.4. EDIT: The iMacs are in fact running 10.6.6 build 10J4026 using Intel's unreleased Z68 Chipset. 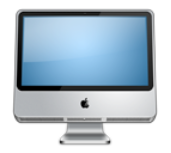 EDIT2: On May 4th Apple released a 10.6.7 Update for 2011 iMacs with 10.7.4 kernel included. This should provide desktop Sandy Bridge CPU Power Management, and Turbo support for the first time. Today Chimera has been updated to version 1.1. iBoot and MultiBeast have been updated to include this version, and are available at tonymacx86.com/downloads. Chimera 1.1 is recommended for all systems. To update, simply overwrite your previous Chameleon version using MultiBeast. For bug reporting, feature requests, and general feedback please use the Chimera forum.